On International Holidays Calendar, January 26, is counted as “International Customs Day”. The history of this date is related to the establishment of the Customs Cooperation Council in 1952. On January 26, 1953, exactly 66 years ago in Brussels, the constitutive session of this organization was held. The inaugural session was attended by representatives of the 17 founding countries. In honor of this event, from this year, January 26 is celebrated as “International Customs Day”. This institution changed its name in 1994 and is now called the “World Customs Organization”. Celebrating annually, “International Customs Day” recognizes the role of customs officers and agencies in maintaining border security. It focuses on working conditions and challenges faced by customs officers in their workplaces. The World Customs Organization as an intergovernmental organization prepares, maintains, supports and promotes international instruments for the harmonized and uniform use of efficient and simplified customs economic systems and procedures related to the movement of goods and people and customs passage cooperates against the violations customs rules and the fight against transnational crime. The WBD assists member countries in promoting contemporary business activities, promotes cooperation between member states and other international organizations, and the use of good work experiences. Under its patronage, the most important international conventions in the field of customs have been adopted. This organization now has 183 members operating in all continents and representing all phases of economic development. Today, OBD members are responsible for processing more than 98% of all world trade. From January 25, 2017, a member of the WCO was also Kosovo. 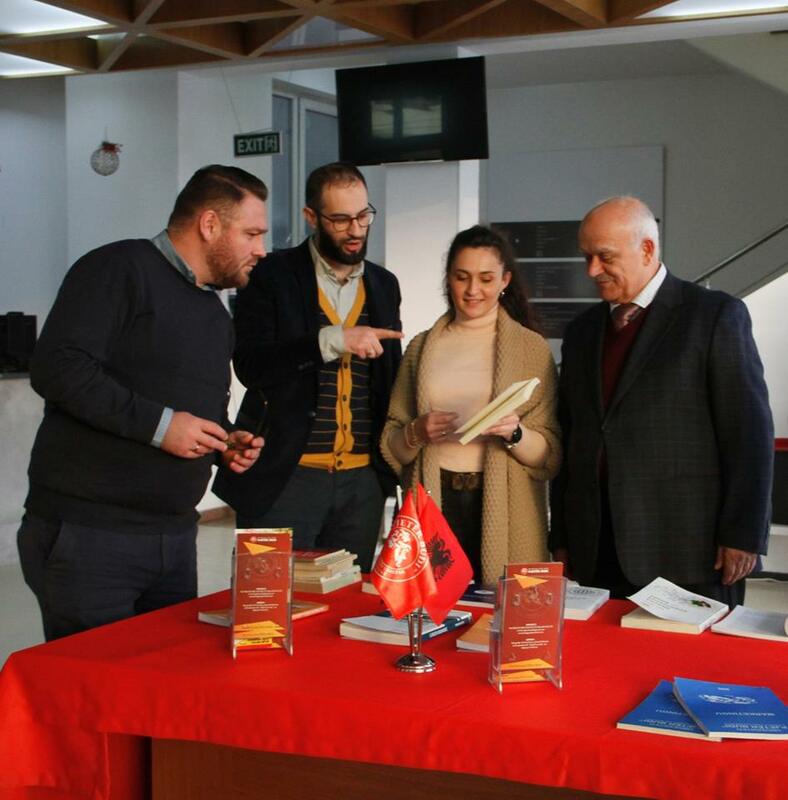 “Pjetër Budi” College, since its foundation in 2005, is the only Albanian-speaking university institution in the Balkans that provides university studies for Customs and Freight Forwarders. As the only institution of Higher Education, the College “Pjeter Budi” contributes to the preparation of professional cadres in the field of customs and transportation, as two specific areas and necessary for the economic development of our country. As an elite institution in the field of customs, “Pjeter Budi” College has joined the “International University Network of Customs” (https://incu.org/directory/affiliate-academic-institutions/). This membership proves the work and success of this institution. 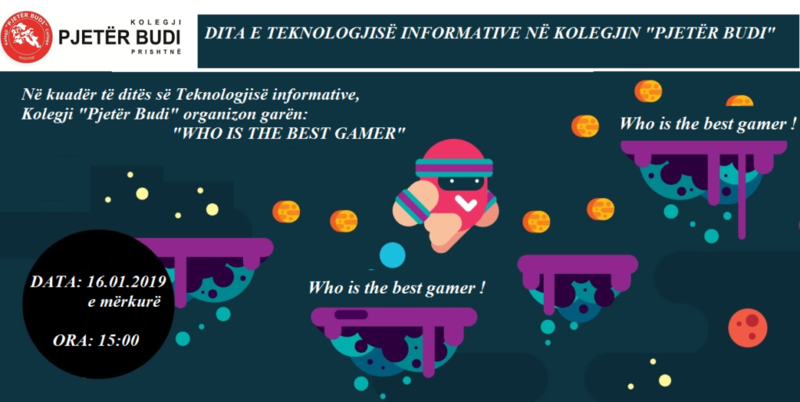 After a close race between the students of “Pjetër Budi” College, the winners of the game “Who is the Best Gamer” were announced. In this game the students had the task of completing the Puzzle. Each completed image has a special view that was displayed on monitors after completing the Puzzle. So creativity and the development of student logic became apparent through this game. The number of students who participated in this competition was great, but Rrahim Duriqi took the first place for about 3:38 minutes to complete the image, second place was taken by Fatlind Mejzini who completed the image for 4 : 59 minutes and third place was taken by student Remzi Maliqi who managed to finish the Puzzl for 7:49 minutes. Even more students – Rrahim Duriqi, Fatlind Mejzini and Ramzi Maliqi showed that they have creativity and artillery . While the other students who participated in the competition gave a strong competition among themselves and tried themselves in the field of Tekology. This activity marks an innovation within the activities of the College “Pjetër Budi”. Further, the “Pjeter Budi” College congratulates the winners of the game and, and all the other participants, wishes you success at other events. After a close race, the New Born 2 team was declared the winner of the second season of the Quiz of Knowledge, organized by the College “Pjetër Budi”. For five weeks, seven teams, with 3 people, ran a strong race to win first place in the quiz of knowledge. The quiz was organized in five different areas divided into weekly sessions, according to this division: 1. Sport, 2. Art, film and music, 3. History, 4. Geography, and 5. World Encyclopedia. The New Born 2 team, consisting of students: Samir Rexhepi, Agnesa Selmani, and Adis Rakipi, showed that they are among the best students and have high knowledge in general social fields. 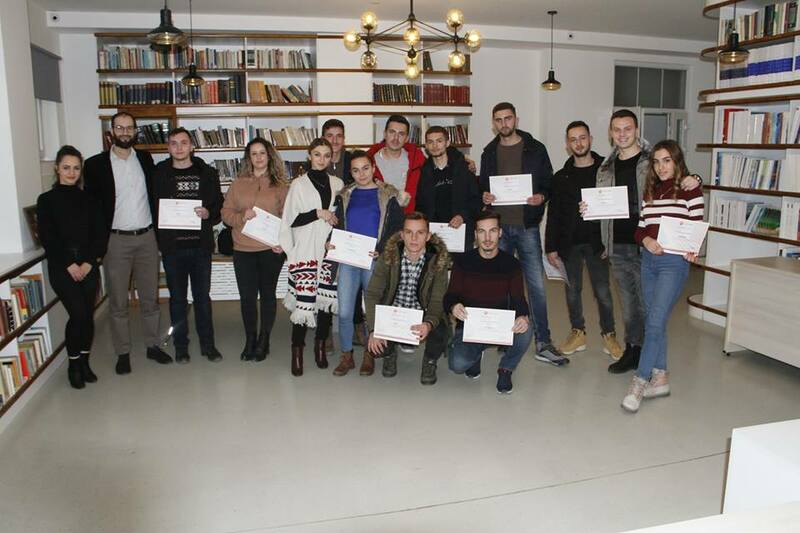 The second place was won by the Dream Team team, consisting of Luftrim Kadrijaj, Andi Beqiri, while third place was the Los Blancos team, which consisted of students Lulkuqe Ajeti, Dren Leci and Jetmir Haziri. Due to the reconciliation third place is also allocated by Zone 3 team, composed of students Altrinia Brahimi, Blerina Ahmetaj and Leotrim Halilaj. The quiz of knowledge has already become traditional and will be organized annually at Pjetër Budi College “- Prishtina. The “Pjeter Budi” College organizes for the first time the Day of Information Technology. This activity marks a novelty in the activities of the college “Pjeter Budi”. Within this activity will be organized the game “Who is the Best Gamer”. An opportunity for young people to be tested in the field of Contemporary Technology with a very attractive activity. All students are free to participate in this competition. The competition will be organized in the hall of IT Hall 26, on Wednesday, 16.01.2019 at 15:00. The game has a competing character “Puzzle Completion. On the surface will be part of a figure where the completion of these parts will form the hidden figure in these parts. Each completed image has a special view that will appear when the puzzle completes. So your creativity and development of your logic comes through this game. In this case each student will be faced with a computer game and the one who collects more points will be declared the winner of the game “Who is the Best Gamer”. 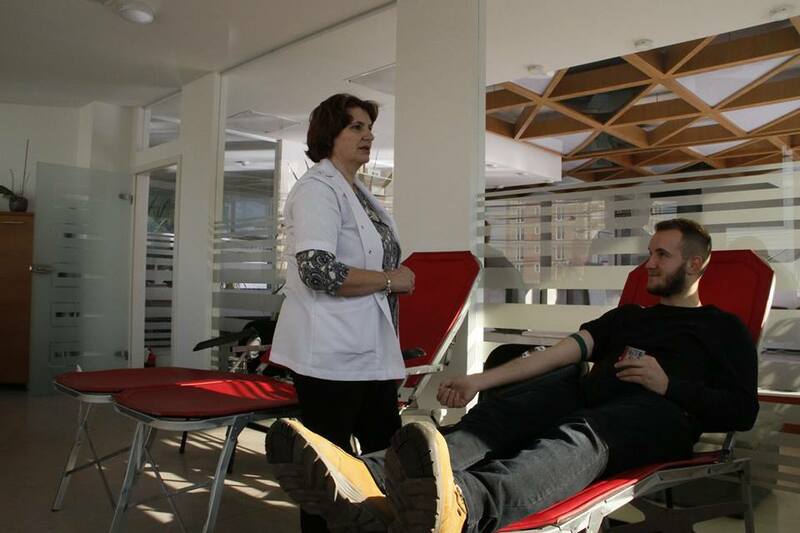 With the motto “I do what I would want others to do if I needed blood”, the College “Pjeter Budi” has always come to the aid of the National Blood Transfusion Center, enabling the organization of voluntary blood donation inside its object .A large number of students, members of the academic, administrative and managerial staff are always responsive to the voluntary blood donation that takes place up to 3 times within an academic year. The first and regular student in each action is Qendrim Ternava. Blood is vital. Blood is never enough. Staff, students and neighborhood community are invited to join this simple personal act, with great human and civic value.